If India were to achieve its own air quality standards, life expectancy would increase by more than one year on an average, says the 16-page report. NEW DELHI: More than 660 million Indians are exposed to high air pollution as they live in areas where the fine particulate matter (PM2.5) exceeds the permissible limit, researchers said on Monday. People in the national capital would live six years longer if its air quality met the national standards. To help improve India's air quality, researchers from the University of Chicago and Harvard Kennedy School have laid out five key evidence-based policy recommendations in a new report titled "A Roadmap Towards Cleaning India's Air", which was released here on Monday. It draws learnings from working with different state pollution control boards over the last several years, a spokesperson for Energy Policy Institute at the University of Chicago (EPIC-India) told IANS. EPIC-India researchers have developed the air quality life index (AQLI), a metric that provides a means to predict the overall reduction in life expectancy caused by living in places with high levels of air pollution. If India were to achieve its own air quality standards, life expectancy would increase by more than one year on an average, says the 16-page report. This number would increase to four years if India were to meet the World Health Organisation's norms. Some of the greatest gains would be seen in the country's largest cities, such as Delhi. There, people would live six years longer if air quality met the national standards. Similar gains are expected across the Indo-Gangetic plain, including in the rural areas. The recommendations by the report include: Improving emissions monitoring by better aligning incentives of auditors, providing regulators with real-time data on polluters' emissions, applying monetary charges for excess emissions, providing the public with information about polluters, and using markets to reduce abatement costs and pollution. 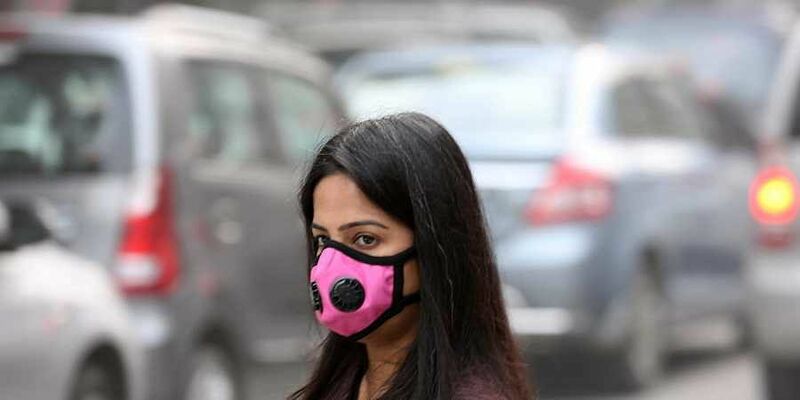 "Air pollution is causing hundreds of millions of people in India to lead shorter and sicker lives," said Michael Greenstone, the Milton Friedman Professor in Economics and the Director of the EPIC and the Tata Centre for Development (TCD) at Chicago. "However, we are at the dawn of a new era where the combination of advances in computing power and big data are creating radical new opportunities for environmental regulations to reduce air pollution, without undermining the urgent goal of robust economic growth in India." An optimistic Rohini Pande, the Rafik Hariri Professor of International Political Economy and co-director of Evidence for Policy Design at Harvard Kennedy School, said: "While the economic costs of pollution are high, and there is no easy solution, we remain optimistic because of the incredible innovations currently being experimented with throughout India." The policy brief was released in conjunction with the National Conference on Innovations in Pollution Regulation, organised by EPIC-India and the TCD here. Aimed at facilitating knowledge sharing between policymakers, regulators and academics on pollution regulation and measurement, representatives from more than five state pollution control boards and experts from India and abroad attended the conference. Inaugurated by National Green Tribunal Chairman Justice Adarsh Kumar Goel, the discussions were focused mainly on the role of pollution data in decision-making, the need for better quality data, strengthening enforcement through public disclosure and the advantages of market-based instruments in reducing pollution.